Discussion in 'British Army Units - Others' started by ramacal, Apr 18, 2011. 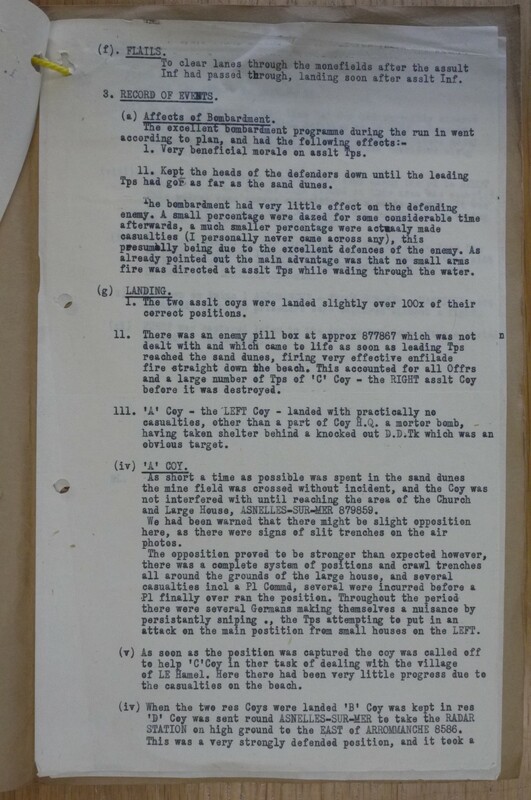 Here are the war diary pages for the battalion of the above regiment for June 1944. ClankyPencil, Owen, dbf and 1 other person like this. Are you covering all of 50 Div in June, or just the 231st Infantry Brigade? I copied some June 1944 war diaries for a friend and I thought I'd make them accessible to Forum Members. I was not carrying out any research for myself and had not given any thought to which Division or Brigade they were part of. Thanks for sharing these Rob. I've viewed all of the different diaries you have posted with great interest. The others I will be posting shortly are the June 1944 war diaries for the 2nd Devonshires (231 Brigade) and 6th & 7th Green Howards (69 Brigade). I have sent you a PM, but regarding the above - yes please! 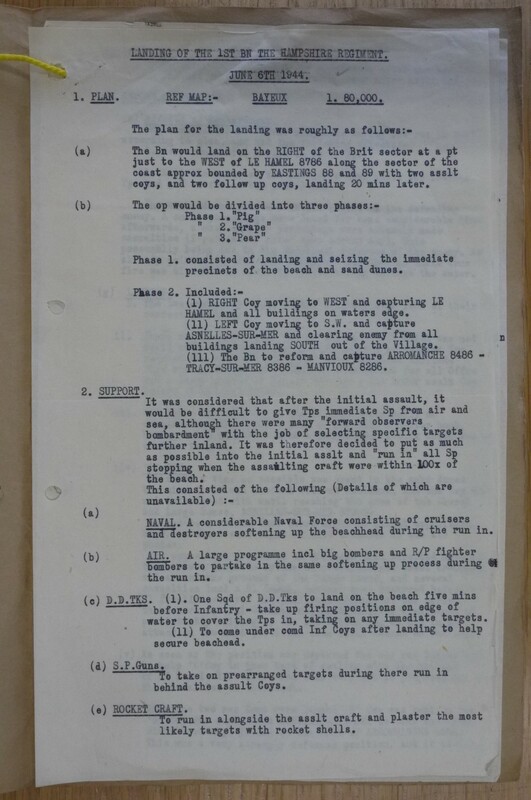 I am looking into the movements and involvement of the 1st Battalion the Hampshires durign the second world war and was amazed to find your pictures of the actual war diaries. Is there the possibility that you would be able to provide the Battalions diary entries for the subsequent months July - Oct? I am very interested as my Grandfather was a private during the campaign and managed to get to Holland before he was hit by shrapnel and seriously injured. Any help you could provide would be most welcome. The 1st Bn, Hampshire Regiment were with 231st Infantry Brigade, 50th (Northumbrian) Division from late August 1943 for the duration, landing on Gold Beach on D-Day and then throughout NW Europe - until 50 Div was reduced to a training cadre on 30 November 1944; with Monty saying it 'had done enough'. Let's see how your request develops and I will add more, if appropriate, in due course. It may be helpful if you could post your grandfather's name and details of his service record if held?!? These are, obviously, private matters and you should only post if happy to do so! I wrote this once already but the ether sabotaged my 'encryption'. The 168th Infantry Brigade - 1st London Scottish, 1st London Irish Rifles and 10th Royal Berks - were part of 50 Div for the 'Husky' landings, but apparently were not up to muster. Now I cannot comment on this general statement with any authority, but my little reading on the period 27 April to 10 October 1943 leads one to this conclusion. I will read more, and reach a definitive and personal conclusion sometime hence. The 50 Div orbat has 231st Bde joining the division on 10 October 1943, having started Husky as an Independent Infantry Brigade; fresh out of Malta. However, a lot of my reading shows 231 Bde with 50 Div before the end of the Sicily Campaign and whilst involved in the Italy landings. This is why I always say 'August', but I have never heard it be July and it may well have been later! Hi John and welcome. My dad was fighting in 6 Green Howards, 69 brigade, 50 div alongside the Hampshires on Gold beach. You should be able to click through to my dad's website and learn a little more. I have some pics of the Hampshires attending the 50th anniversary of D-day in France if you'd like me to dig them out. I believe they are just ww2 enthusiasts dressed up but they make a nice memento. not much point , he's not been on forum for over a year. From WO 223/39 1 Hampshire Regiment The Landing, June 1944. 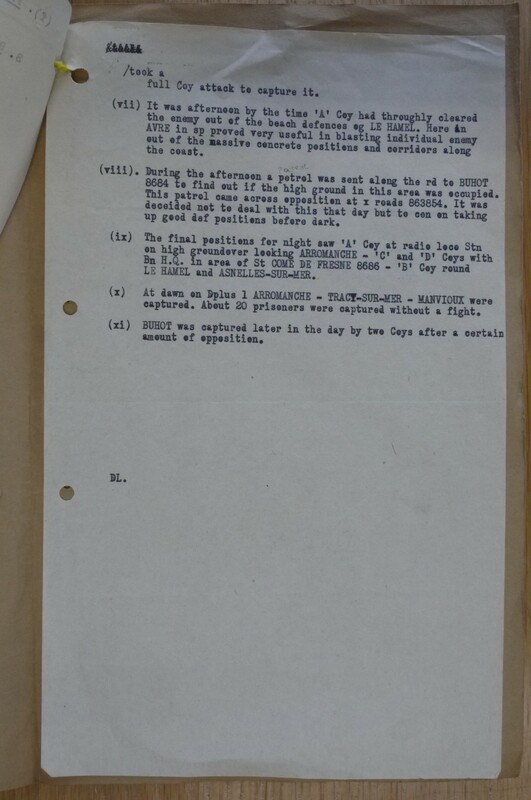 WO 223 papers and files relate chiefly to the 1944-45 campaigns in France and Germany (Operation Overlord etc). They were prepared by the Staff College from war diaries, regimental and battalion histories, etc. for the use of officers attending the 1947 Course. Hello, I'm researching Private 14292183 Harry West of 1st Battalion The Hampshire Regiment. He went from the U.K. to Normandy on 19th June 1944 and was wounded and taken prisoner by the Germans near Caen on 20th July 1944, subsequently becoming a PoW at Stalag VIIIB at Lamsdorf. I wonder if anyone has the 1st Battalion war diary for these dates please ? The daughter of Harry West ( who is now deceased ) would dearly love to find out how he was wounded, in what particular action and how he was taken prisoner. Thank you, Tricky Dicky ! The Royal Hampshire Regiment by David Scott Daniell. Owen, thank you, you are an absolute star mate !